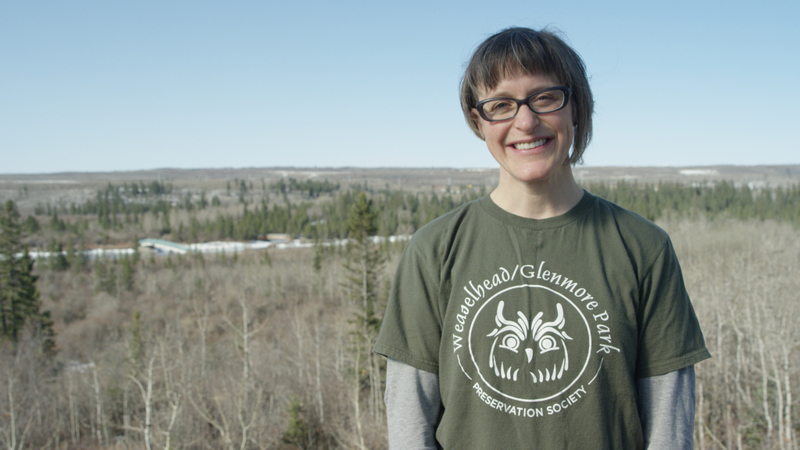 From annual park clean-ups to an invasive plant program, the Weaselhead/Glenmore Park Preservation Society aims to protect and maintain Calgary’s urban spaces for the benefit and enjoyment of all and to protect and maintain the rich biodiversity and natural ecosystems of the area. Community stewardship is paramount–5,000 students and adults (and 250 volunteers) participate in the Society’s education programs each year—inspiring many to a lifelong love for and care of the outdoors. In it’s near quarter century history, the Society has insisted on the best possible environmental mitigation measures for the southwest Calgary ring road (SWCRR). That focus has led to innovative measures like wildlife passages under the SWCRR upstream of the Weaselhead, native seed mix for re-vegetation of disturbed areas, additional plantings to assist birds crossing the SWCRR, and reduced infilling of an important wetland adjacent to the ring road. As a result of the Society’s efforts, the Weaselhead remains the most biodiverse area in Calgary, with over 1,000 species and five distinct ecosystems. For over 20 years, the Society has raised the bar in environmental excellence with its efforts to protect the flora and fauna of the Weaselhead and Glenmore Parks, and to preserve the integrity of the Elbow River. The Society continues to be a beacon for environmental protection, providing ecosystem services that benefit all Calgarians.